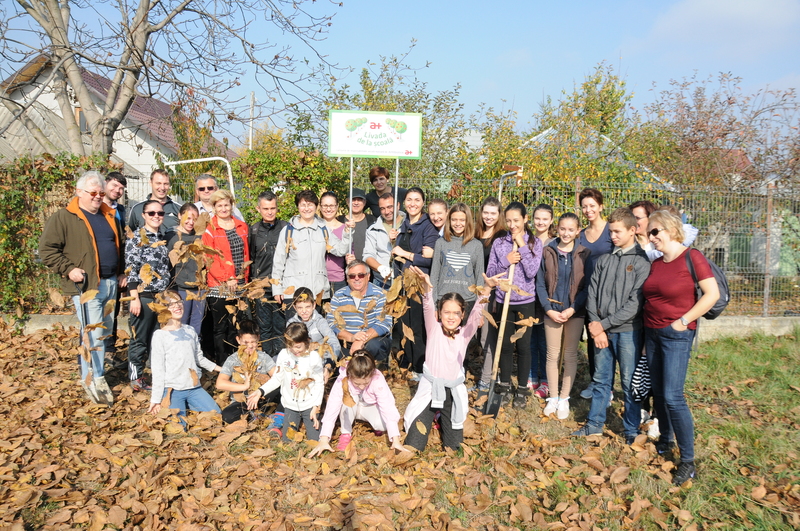 On Saturday, October 21st, 2017, over 50 Antibiotice employees volunteered to plant fruit trees at schools in Valea Lupului and Uricani. This is the second edition of the School Orchard project, a project focused on raising awareness on how important it is to protect the environment and its resources, have a healthier lifestyle and be involved in activities that benefit the community. 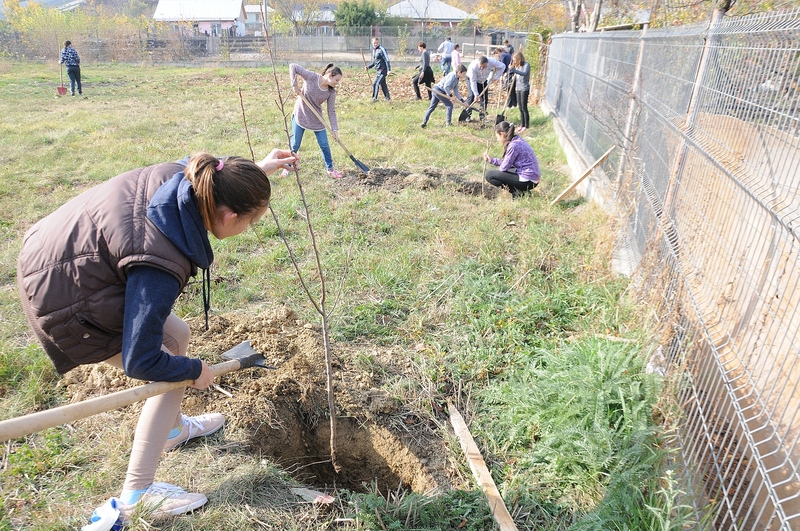 “We are glad that the School Orchard project has been implemented in five schools in Iaşi and that the power of example provided by Antibiotice volunteers has led to overall good changes for the community. We firmly believe that “The power of the deed is in our power“, which is the slogan of our social responsibility projects and we are interested in continuing this project. We appreciate the dedication of the students who are beneficiaries of the first three orchards planted and who got very involved in taking care of the trees, “said Mihaela Melinte, Communication counselor. 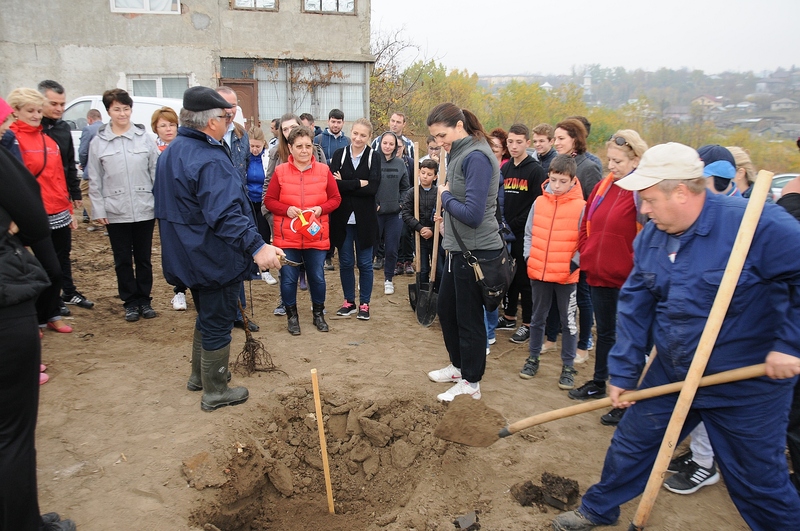 The second stage of planting is carried out in partnership with the city halls of Valea Lupului and Miroslava, which provided land from their schoolyards and facilitated its arrangement. ”The School Orchard is a project we got involved in, in order to give the students of Valea Lupului school a source of health. We managed to arrange an orchard on a parched, wild land; it used to be full of stones and vegetation that we removed and instead brought fresh soil which is good for planting. Fruit trees are a valuable resource both for nature and for our students, who will directly benefit from this project,” said Dumitru Mihailiuc, mayor of Valea Lupului commune. Antibiotice volunteers together with students from the two schools were advised by the representatives of the Research and Development Resort for Fruit Tree Planting on how to meet the standards of planting fruit trees adequately. 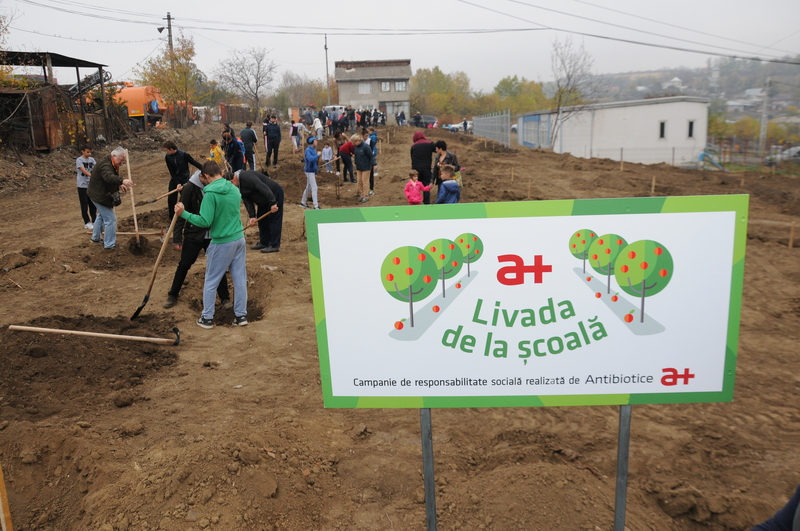 The first stage of the project took place on April 1, 2017, when Antibiotice volunteers planted 300 fruit trees at schools from the villages Voroveşti, Proselnici and Miroslava. 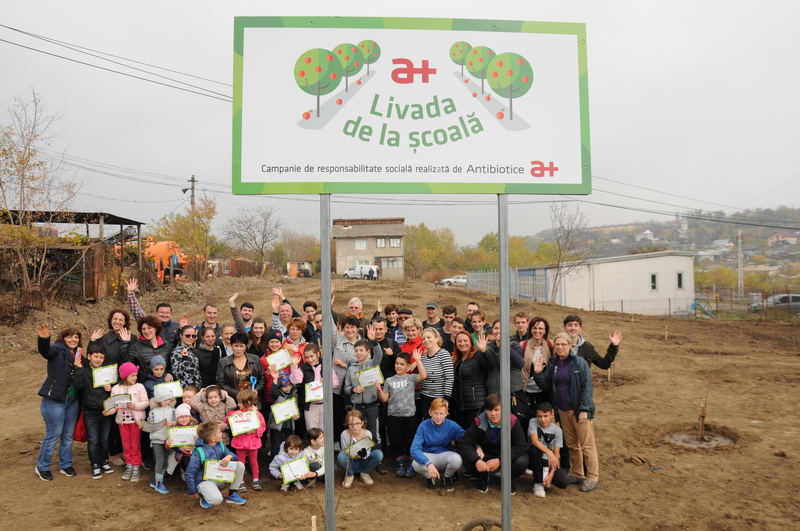 “The three orchards planted in the spring by Antibiotice volunteers at the schools in Miroslava commune are sustainable and will bring a great benefit both for the children and the community. It is a beautiful project that managed to involve the civil society and we’re expecting the first fruits next year,” said Dan Niţă, the Miroslava mayor.